Build your dream home on this double WATERFRONT LOT offered together with adjacent lots with Listing D6103889. Owning all THREE cleared lots will combine for 241 feet of water frontage. Some trees have been left to satisfy building requirements per owner. Owner financing is available for the right buyer with the right terms. Imagine the estate home you have always wanted with your boat ready to take you just minutes away to world class fishing near Boca Grande. 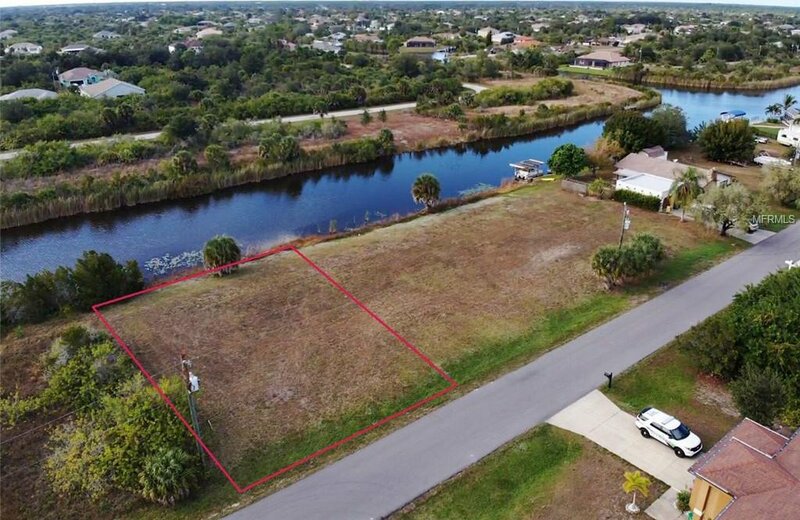 These lots on the Presidents Waterway are in wonderful South Gulf Cove, a fast growing community of beautiful new homes with parks, canals and more to offer. Enjoy the natural wildlife found in this area or find new boating friends in the Yacht Club and immerse yourself quickly in this tight knit community. Your new lifestyle involves fine dining, shopping, several golf courses, boating, 2 Spring Sports Stadiums and plenty of shopping! A triple lot does not come along often, call now before they are gone.